We spent the weekend in the North for a wedding, and managed to fit in a regatta, proper fish and chips (x2), a knitted pier, a vertical pier, lemon tops, monkey’s blood, The Wedding Planner, a breakdown, and a lengthy spell in a tow truck as well. 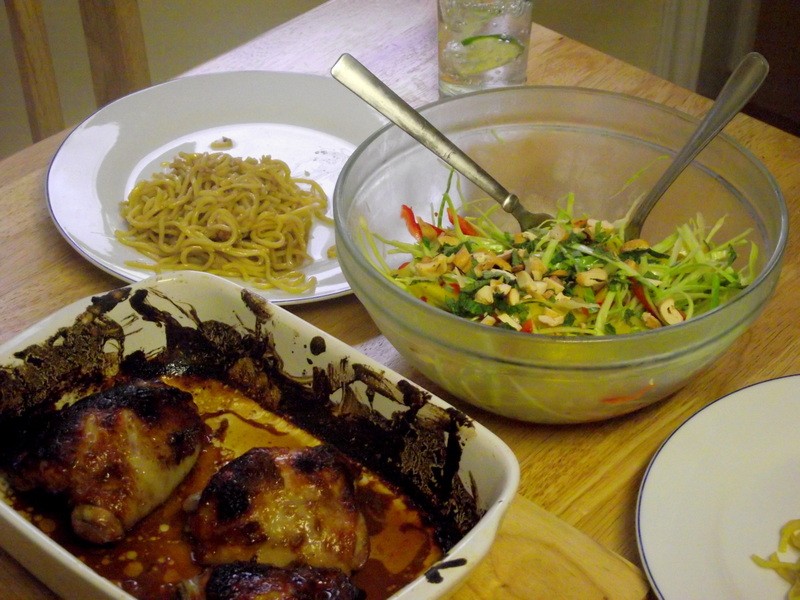 This meal was the perfect thing after all that excitement – the salty/sweet/savouriness of the chicken is super-comforting, but the mango slaw keeps things summery and fresh. 1. If you have a julienne, use this to effortlessly cut the pepper and mango into beautiful, even matchsticks. If like me you don’t, do your best with a knife. 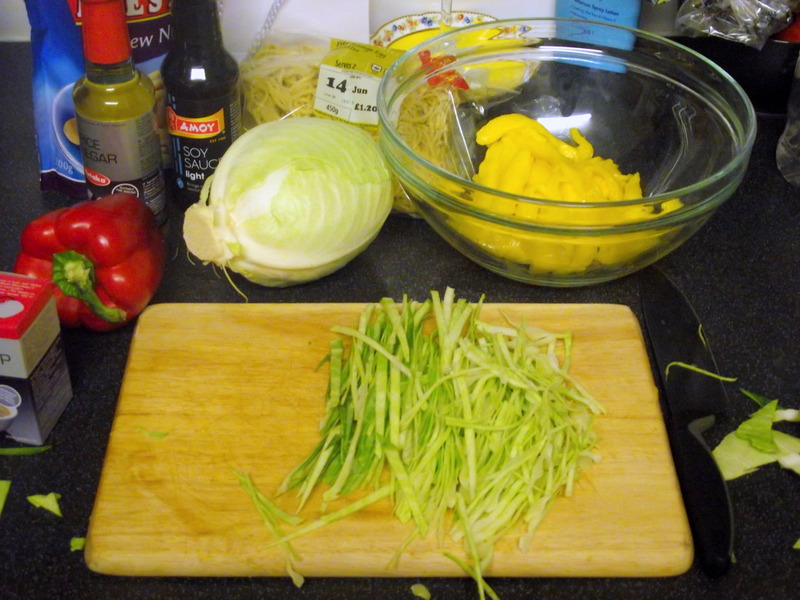 Shred the cabbage leaves as well, tip into a large bowl and pour over the lime, vinegar, oil, salt and chilli. 2. Put this in the fridge whilst you get on with the chicken. When ready to serve, roughly chop the mint and cashews and sprinkle over. 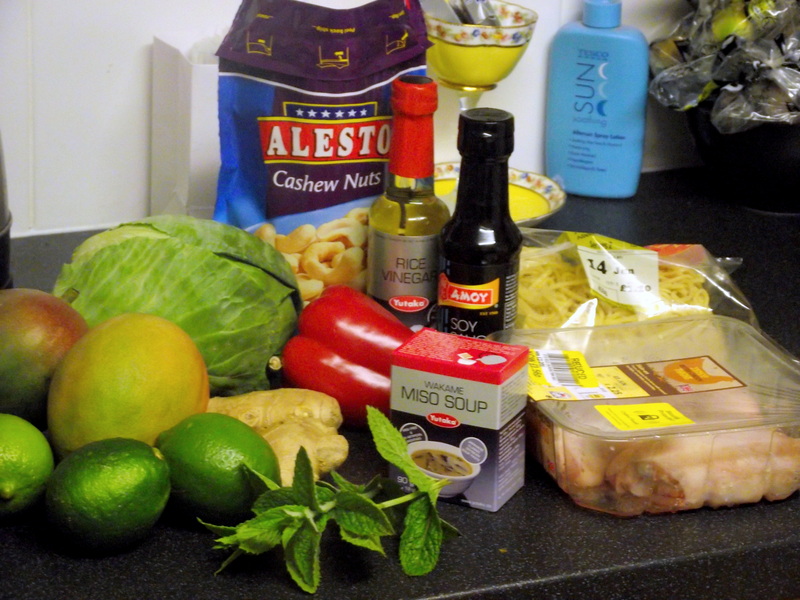 1 tbsp miso paste – they only had miso soup paste in Asda which I think is pretty much the same although it did have some rogue bits of seaweed in it. Didn’t seem to hurt. 1. 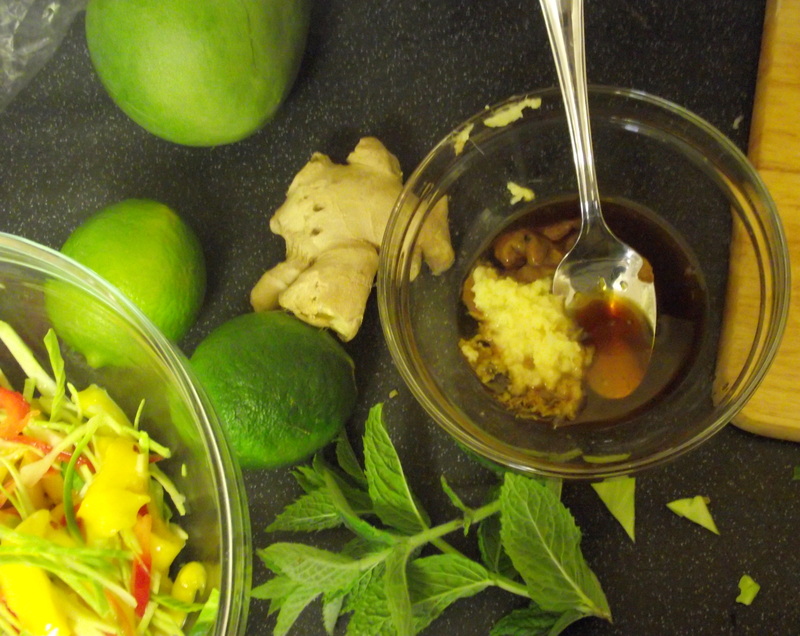 Mix all the marinade ingredients together in a small bowl. Slash the skin of the chicken a couple of times, place in a baking dish and cover in the marinade. Cook at 200C for 40 minutes, basting every 5-10 minutes to make sure the skin gets all sticky and golden. 2. 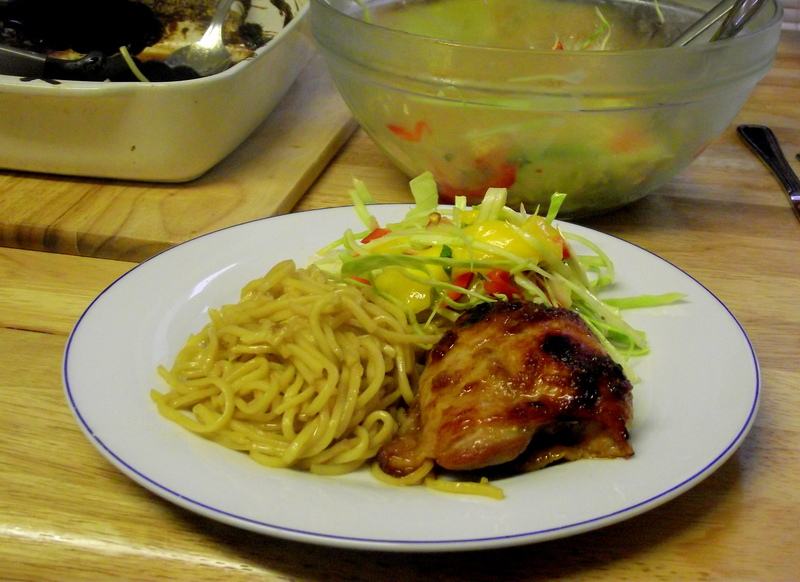 Serve with the slaw and egg noodles – pour the excess liquid from the chicken over these and add a squeeze of lime. Yummy!